I’ve been playing with my vocal signal chain a bit lately. I guess the goal is to improve clarity and general vocal tone without any negative or unnatural side effects while also making my vocal mixing more efficient. The biggest changes are really in where I’m putting the Cranesong Phoenix and my DeEsser in the signal chain and the mix approach changes that have come with these moves. Previously the Phoenix sat last in my chain with the DeEsser typically in the 2nd insert slot right below either a channelstrip plugin or a compressor plugin. The signal flow also represents the order in which I apply and tweak processing. Outside of EQ, everything is based on needs and wants for the vocal. I generally start basic with the onboard stuff and then pop things in as needed, although Phoenix is typically on right from the start and I’ll talk more about that in a bit. 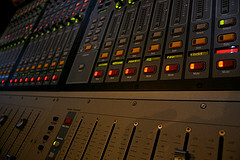 Everything else is typically loaded and bypassed to expedite things a bit when mixing even though it might not be used. The inspiration for the new signal flow was really thinking in terms of more of a recording studio signal flow. Traditionally a recording engineer would most likely EQ and compress the vocal a bit before recording to analog tape; this would be the onboard channel processing in my chain. Recording to tape would then impart a bit of tape saturation/compression which brings us to the Phoenix plugin. Then the vocal would be processed in the final mix which is where I get the rest of my chain. Another part of the inspiration behind doing this was to use more little bits of compression instead of trying to do it all in one place. 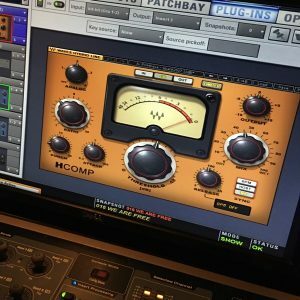 More compressors doing less can sometimes sound a little more natural while still giving you the benefits of compression. So for example, my channel comp is working very lightly at anywhere from a 1.25:1 to 2.5:1 ratio probably with a soft-knee and relatively fast attack and release. I want this stage to be the most transparent. I’m probably doing a bit of compression at all times, but with the ratio so low it’s maybe 1-2 or 3 dB and very subtle. Next is the Phoenix generally set to around 12 o’clock. I typically use Dark Essence here since it deeesses a bit; it’s one of the more aggressive versions of Phoenix, but not the most agressigve. I might pop between the three settings within the Phoenix a bit to see if one works better. I might also try different versions of Phoenix if Dark Essence isn’t helping at all. I’m preferring Phoenix at the top of the insert chain, lately, because it seems to be a little subtler of an effect there. When I had it last in the chain, sometimes it seemed to emphasize and add some harmonics that weren’t always pleasing especially on the new PA. I really view Phoenix as a “Better” plugin meaning that by inserting it, things should get better. That said, Phoenix is typically something I like to have on right from the start whenever possible. I really approach it more as a plugin I’m mixing into. Since Phoenix is really an analog emulator, when I think of working with analog equipment in a traditional sense, the effects of that gear are imparted right from the beginning and immediately influence mix decisions. Now that doesn’t mean I won’t tweak things later on because that’s one of the advantages to having this type of tool vs. a traditional piece of analog gear that has one flavor. However, more often than not I probably allow Phoenix to influence my decisions more than use it as something I add after the fact. As a “Better” plugin, if I pop it out things shouldn’t be as good. A DeEsser is typically next in the chain. There are two reasons for this. The stuff that follows in my chain doesn’t always get used, but I typically need/want to do a little deessing on vocals. I also like it next because compression can tend to exacerbate sibilance, and if I use another compressor in my chain I might hit it a little harder than the comp earlier in the chain. Lately I’ve been preferring to deess before I compression because it typically means I need less deessing. If I’m having problems getting things right, sometimes I’ll swap the plugin order with what comes next in the chain. If I use a compressor next in my chain, it’s typically for more of a color or character thing, but it can also be a control thing. These days this is usually a Waves CLA76 or CLA2A. I usually start with a few instances of them loaded so that I can quickly pop them in and out to see which works best. I want to help make the vocal pop, but still sound natural. Sometimes this might also be a channelstrip plugin like the McDSP Channel G, but I’ve been moving away from plugin EQ’s as there is some debate as to whether they really sound different. Personally I’m liking the Waves CLA stuff because it seems to hold up a lot better if you hit it hard whereas a lot of plugin compressors can fall apart if you really lay into them. The multiband is the last link in my chain. Now I should say that I’ve been very mixed on using these. There was a point in time where I thought I’d never want to mix without one, but over time that changed and I’m not as big a fan anymore. I just think that multiband comps can be very hard to get right and are an easy way to do some serious damage to a vocal, and I know this because I’ve done my share with them. 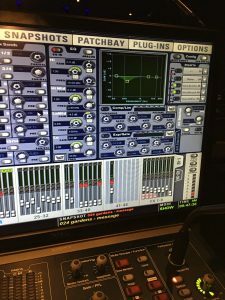 When they work they can be a great tool, but it just seems to be a bandwagon a lot of guys are jumping on these days as the multiband becomes a standard addition on a lot of the digital consoles. Over-processing with a multiband can get very unnatural sounding very fast. 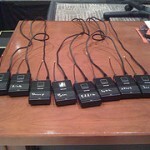 The multiband for me these days is really a last resort. The multiband’s purpose in my chain is to tame any frequencies that are jumping out when a vocalist hits certain notes or a certain range. Traditionally I’ve preferred the dynamic EQ in the Serato dynamics plugin, but these days when I need something it’s typically more than one band so I’m landing on a multiband more often these days. One of the things that’s hard about a multiband comp, though, is it’s generally threshold based unlike the Serato Dynamic EQ. If the vocal I’m working on is very dynamic, finding the right settings for a multiband can be a challenge for me because when the vocal is lower in level it typically has a different set of issues than when the vocal is at the top of its dynamic range. Settings that are just right when the vocal is lower in level can be way overblown when that vocal digs in. Having the multiband last in the chain seems to work better for me because the compressors beforehand are helping with any excessive dynamic range problems. Last in the chain also means that it should get minimal use since I should have done everything else possible before inserting it. If I have to lean hard into the multiband, it usually means there’s something I missed earlier in the chain. 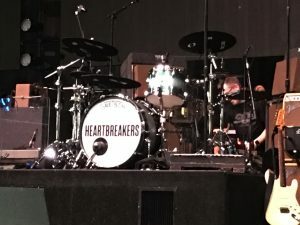 Now I know some guys who are great at dialing in multibands and doing the bulk of their tone-shaping and manipulating with them, but I’m not there right now at least with the tools I’ve got. The multiband of choice on our campuses right now is the McDSP ML4000, however, a couple weeks ago I played with the Waves C6 a bit. There were some technical issues with the plugin on the VENUE, but I did prefer the C6 interface a bit to the ML4000. The C6 seemed a little more musical to work with. The interface just seemed a little more compatible with the way my mind works so I’d definitely like to play with it a bit more in the future. I might try the C4 soon to see if it has the same issues the C6 did. 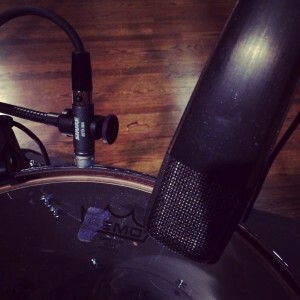 One last thing I should note is this is typically the chain I use for lead vocals. BGV’s don’t tend to get as much attention especially if there are a lot of vocals. In those cases I’ll typically stop at the Phoenix or maybe the DeEsser, but if there’s time I might end up doing a little more to those vocals as well.